Who's a fan of estate sales and flea markets? This gal! 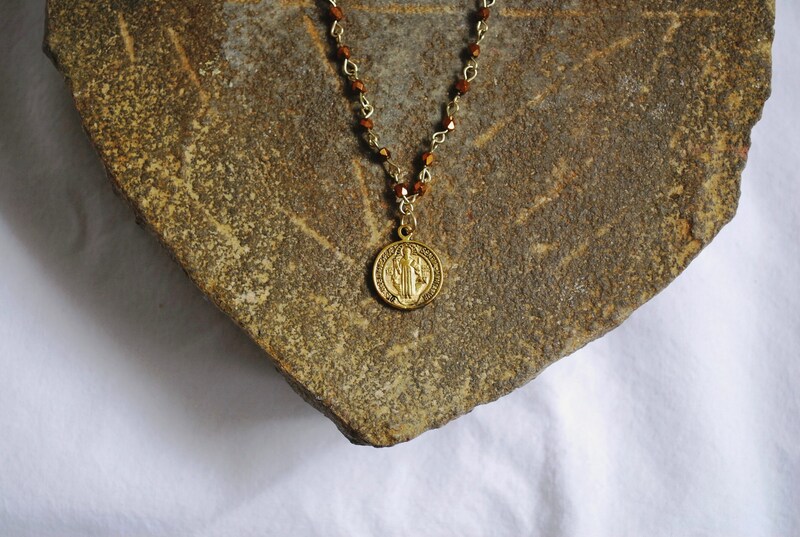 Over the past few summers, I've enjoyed perusing sales in our community and rescuing old medals and religious pieces. I always wonder about the people who wore them before, what the burdens on their heart were, how Jesus loved them. 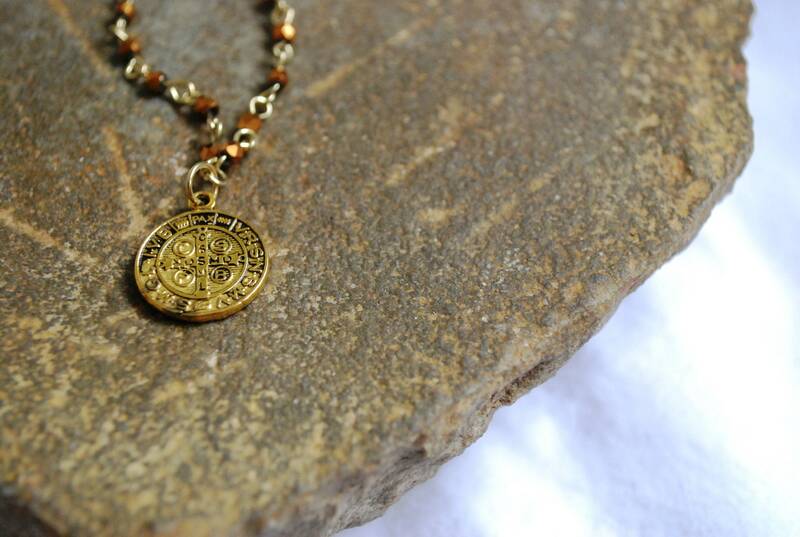 Now these pieces take on a new life just for you in this vintage collection of jewelry. 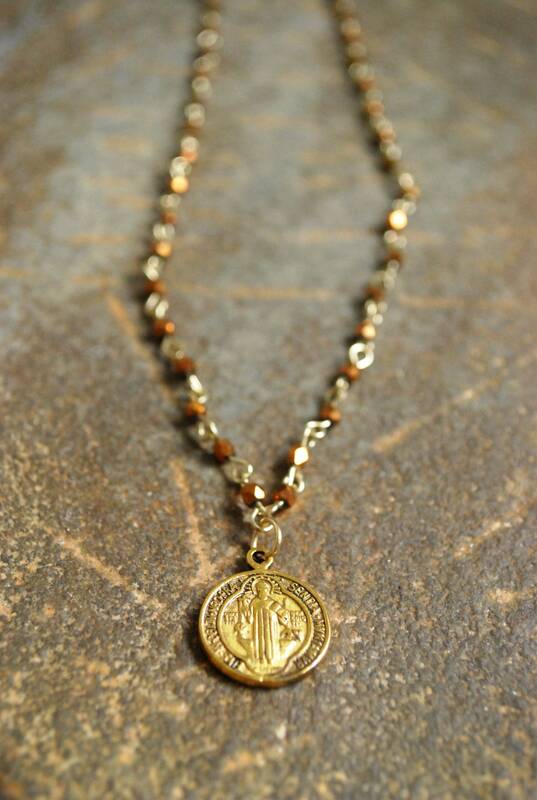 This necklace features a vintage gold tone St. Benedict medal on a copper-toned beaded chain. Medal measure approx. .75' x .75"
It makes a perfect gift for her whether it's Christmas, Valentine's Day, Galentine's Day, Mother's Day, a birthday, a holiday, another special occasion, or just because. They even make a perfect gift for yourself! Free standard shipping throughout the U.S. is included. Watermarks are not present in purchased images.